The other day I was blown away by the motivation and selflessness of two of our amazing new Legion family members. On their own initiative, and awareness for a need, they pulled together a tangible-goods donation drive for the victims of the Thomas Fires in Ventura County. They handled everything. 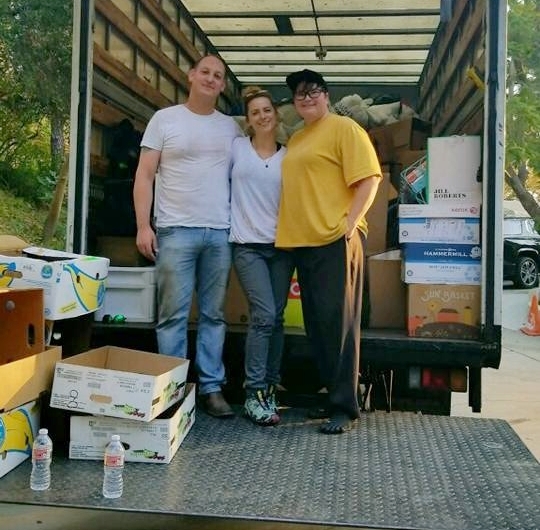 From obtaining space from the post to be a collection point, to collecting donations, to coordinating with pop up agencies to receive the tangible donations (and ensuring that the donations being collected were actually fulfilling the needs of the Thomas Fire community), to loading up the 20 foot truck and driving it up to Ventura. I can't tell you how blown away I am by Leslie Borchard of the Auxiliary and Legionnaire Bryon Smith of our Post 43 family. They are too humble to announce what they've accomplished, but this is something tremendous that needs to be shared. A perfect example of the principles of what the American Legion stands to represent. Special thanks to AVON truck rentals in Hollywood for their generous donation of the relief truck! Thanks to all of you who donated relief items to the needy victims of the Thomas Fire in Ventura!